Book 2 was a Good One! And speaking of Oliver, just how long can Cecelia and Kate make excuses for him? Ever since he was turned into a tree, he hasn't bothered to tell anyone where he is! I read someone's review of this and I can't say I am sure what it was about it that made me buy it .. but I did. What a pleasant surprise this book was!! Totally enjoyed it! As I began reading I had the feeling I had found personal letters and I was being nosey and reading them ! lol.. then I got hooked! Fast! There are no real "chapters" in this book.. just these letters that go back and forth between best girlfriends who are cousins. In the 1800's in England a young lady "comes out" and actively searches for a potential husband. (if you ever read or saw the movie Sense and Sensibility you will get the connection right a way). One cousin is in London and one out in the country as they correspond on how one sister or another is doing in "popularity". It's hysterical that I found I could hardly put this book down lol. You find you have to "readthe next letter to see the response".. and so it goes, back and forth and back and forth, and before you know it.. you've read the whole book! This was certainly an enjoyable book ! 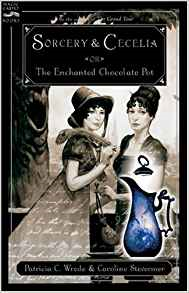 A fun version of coming of age in England in the 1800's plus a bit of a magical mystery involved to keep you on your toes, and it all comes to an exciting ending! Whenever I enjoy a book I go back and look up the author/ authors to see what else they have written... *smacking m'hed".. sure enough.. there are followup books ! "The Grand Tour: Being a Revelation of Matters of High Confidentiality and Greatest Importance, Including Extracts from the Intimate Diary of a Noblewoman and the Sworn Testimony of a Lady of Quality" ... who could resist a title like that?.. so I sent for it ! and: "The Mislaid Magician or Ten Years After" ..and sent for this.. sheesh. may as well read them all! 'Splain Somethin' to me Lucy..
One such person I have written about before... his name is Roy Dotrice. Anyway... I need something explained to me... no, I mean it! .. really ! .. I don't get it!... I know that I'm not the brightest bulb in the package but I truly do not get this at all! I collect some things on actors I like... mostly their movies, but sometimes they write a book or a book comes out about them etc... In this case, something I would like of Roy's are books that he's narrated. Well, I must be living under a rock, because famous or not, popular or not, I need it explained to me why two such books that Roy narrated are so "freeking" high in price!! ...now compare those to the last two books of the same collection, that Roy DOES NOT narrate! I AM SCREAMING!!! ARRGHHHH~! I have spent about 2 hours searching the web to see if i can find the audio version of Watership Down read by Roy Dotrice to possibly buy, ...since I know dang well I can't afford The Game of Thrones! I found some sort of Download with stuff I don't have on my computer and will not download from some place I don't know...but to buy it? nada. I found one place that had an ISBN( 0600560589 ) number so I thought, "great! this will help me find it!"... nada.. When the three Igiby siblings find a mysterious map, they embark on an adventure to discover family secrets about the father they never knew and a hidden treasure that many have long desired to find. Leeli, the youngest, can sing with a beauty that captivates dragons; Tink, the middle sibling, has the makings of a king; and Janner, the eldest, possesses a bravery that will protect them all. But the children's curiosity get the entire Igiby family into trouble with the Fangs of Dang—frightening, scaly-skinned, lizard creatures that drip venom—who have ruled the land of Scree since the Great War. Soon, the Igibys are scrambling for their lives. 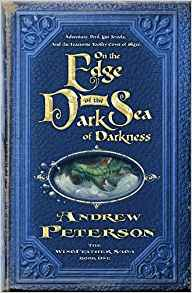 Peterson's style is lighthearted and funny, but following the Igibys' story requires patience and attention to detail and character so as not to get lost. The sheer amount of names, places, creatures and history Peterson invents will frustrate some readers—it is so complicated that he inserts explanatory historical footnotes throughout (though many are amusing). I think I sent for this book based on two things: the cover (and we know we really shouldn't do that!). And in this case the choice of fonts worked! And two: this sounded like a very upbeat and fun read, with more than one protagonist, and they aren't even orphaned! So.... to me (and only me), the beginning was a bit slow and it was overwhelming with odd character and places names to remember. I didn't have a problem remembering them (which in itself is amazing), but it made it seem like a jumbled mess. The beginning seemed to be more about names than story. I would have liked to known more of the kids personalities than what was shown, although, they did have a good reason for not letting you know about their "father" and even younger years. Of all the characters in the book it wasn't until maybe the last fourth of the book that a character named, Peet the Sock Man, who was deemed "crazy" and wore socks over his hands and arms, appeared. For whatever reason, I liked this character right off the bat and he did turn into a very interesting "person". Overall, the book was ok.. good even, but the good came the second half of the book, and even more so the last 1/4 of the book. But because of that the mysteries surrounding the Igiby family became clear before the book ended. This is book one, with more to come... I'm not sure if I'll go on reading this or not. I might give it one more try. Amazon: 16-year-old Princess Anidori–Kiladra Talianna Isillee, Crown Princess of Kildenree, is betrayed by Selia, her jealous and evil lady-in-waiting, and takes refuge as a goose girl while plotting how to reclaim her rightful place as the bride-to-be of the Prince of Bayern. Gifted with the ability to speak to animals and talk to the wind, PrincessAnidori–now called Isi–falls in love, makes new friends, and collects allies in her quest to claim her title. This is my first re-written fairy tale. I was pretty uncertain sending for this book but so many were reading it I thought I would once again go out of that comfort zone and give it a try. The first 1/3 of the book I can say I was not thrilled with and kept thinking that I wasn't going to finish this book. The whole fairytale aspect just didn't sit well with me... I know, I strange thing to say to someone who reads almost nothing but Fantasy Fiction. You'd think I'd love "fairy tales", but for the most part I can't really think of any fairy tales that I'd care to reread. After that first 1/3 of the book the writing seemed less "fairy tale-ish". And some of the characters were beginning to have personalities and I did wind up enjoying the book. 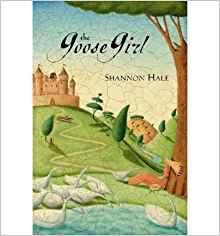 I can't say I'll order any other "retold fairy tales" but this one was enjoyable. I don't have anything to compare to this book to say if it better or worse than any other, but for anyone who's delving into this sort of thing for the first time I'd say this is the book to read. I doubt it would be a disappointment. When writer Maggie Black learns that her friend and mentor, poet Davis Cooper, has died and left her his house in the arid hills outside Tucson, Ariz., she travels there intending to write his biography and to investigate the mysterious circumstances of his death. Every detail she uncovers about Cooper's past, however, only seems to raise more questions. When Maggie comes home one evening to find that the house has been ransacked, it becomes clear that she's not the only one looking for answers. To solve the puzzle of Cooper's life and death, Maggie will have to outwit the Trickster and the other powerful quasi-human creatures that roam the desert hills and feed on creative energy. Although at times Windling's humans come off as too sensitive and artistic, her Native American spirits comprise an intriguing blend of human folklore and alien emotion. Her debut novelis richly imaginative, a captivating mix of traditional fantasy and magical realism. This book was a pleasant surprise. After seeing this book crop up a number of times on the lists of others for Carl's challenge and since I had read the review at amazon, and i do love cowboy and Indian "stuff", I thought I might like this book, so I ordered it from Amazon. I am happy to say I was wrong! It's a darn good book! 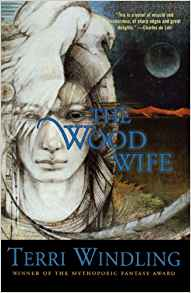 The Wood Wife was a change from my normally read books, but one that makes you realize that Fantasy Fiction can go in many directions. I don't think those that have this book on their list for the challenge will be disappointed. As much as you remember, there is so much you forget ! You forget so many important little things that happen along the way. You forget just how much the characters mean to you. These books so deserved the fact that after many years of being paperbacks, they decided to reintroduce them in hardback books! I hate saying goodbye to good friends.. to Caramon and Tika, to Raistlin and Tanis Half-Elf, to Tasslehoff Burrfoot and Fizban, and to Sturm and Kitiara and to all the others. I hope one day to visit you all once again... and laugh at Tas, and cry for Sturm. To once again meet Fizban and to be sure he doesn't loose his hat. I love these books (like no one noticed!) and I have read a number of other Dragonlance books along the way, but these 6 were the best of the best! I didn't need the Challenge to read them, I would have anyway, but if it made even one person interested in checking them out.. then I'm glad. Raistlin prepares to enter the Abyss and challenge the Dark Queen herself, only to discover that he is caught in a time loop from which there seems to beno escape. This book digs even deeper into their personalities and their relationship with each other. We see Caramon coming to terms with who his brother really is and what he represents. We see him wrestling with his love for his brother and his sense of what is right. In Raistlin,Weis and Hickman pull the reader in different directions, never letting them know if Raistlin is pure evil or if there is actually some good in him. It is the characters that drive this story. Their joys, their pains, their worries are all what give the book it's feeling and it's purpose. When it comes to the review I always have trouble.. I don't want to say too much and yet too little doesn't give anyone enough information to know if they want to try these books or not.. so I dig around for other descriptions hoping to find the right mix. The above pretty much tells the story without giving too much away! 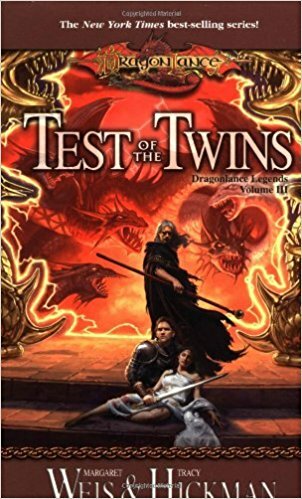 There is one more book in this series that I will begin reading today, Test of the Twins. These books are really good ones if you are a character driven person. There's not too much description when it comes to the fights/ wars etc., it's mostly the characters, which is what i like most about a story. Weis and Hickman give a good balance. They give you background on a character and then some story.. then repeat as they go along. It's great! You don't get overpowered with too much about any one thing before the action moves on. I can't say I know much about the publishing end of books.. but I found it exceedingly noteful that these 6 books originally came out as paperbacks.. and many years later they have released them in hardback. For me, that's a first! Books that begin as hardback go to paperback after a year.. but I can't say that, aside from these 6 books, have I ever heard of the reverse, where paperbacks were then put out as hardbacks! I think that's a bold statement about these books! In actuality this completes the second quest, Quest the First, having read and reviewed 5 books, and I also completed The Journey, of one Fantasy Book. Can an Author and a Wizard be Mentioned in the Same Post? Not to long ago Chris did a post and mentioned an up and coming author of Young Adults named J. Scott Savage. I took it upon myself to check him out. *grin* I've been reading of his upcoming book release and the trials and tribulations along the way. Veeeerrrrry Interesting! Recently, I also found out that J. Scott Savage just happened to have (at one point in his life) moved to New Providence NJ where I was born and raised! While he lived there he mentioned using the town library quite a bit and it brought back a rush of memories. The town was small. The Library was small. But ya know what?.. it was a cool little library! J Scott Savage : is an author of a YA Fantasy Fiction book, called Farworld-Water, published by Shadow Mountain, that will be coming out September of 2008. 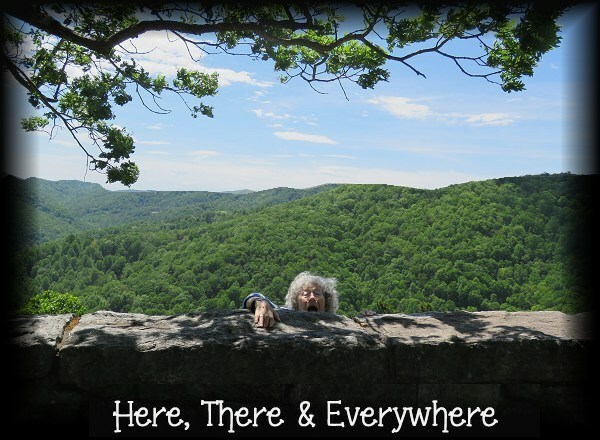 J Scott Savage: is also preparing for a blog tour that will run during the summer, July and August. J Scott Savage: has his own blog located HERE. I think you should visit his blog and consider the chance to get yourself an ARC copy of his book, and even a chance to interview the author! Did I mention his name is J. Scott Savage? Oh yeah, heh.. guess I sorta did! Having this happen in the middle of a Fantasy Book Challenge should be a no brainer!!... have at it! Click the link and check him out! Remember the old ad that said, "I can't believe I ate the whole thing!" ... I sorta felt that way this morning. Well.. I didn't "eat" anything.. but TNT ran LOTR back to back yesterday.... and I actually watched ALL OF IT! Gads, I can't believe I watched the whole thing!! It's not like I don't own the LOTR dvd's .. I do! So then why does it (and other movies I own) become so tempting that I have to watch them then and there? Doh.. can you say dingbat? I will never understand why I watch movies on tv (with commercials!) when I have the movie to watch any time I want (without commercials!). My favorite of the three movies will always be the first one.... more specifically, the scene under the mountain when Gandalf fights the Balrog. Wow! .. Wow!.... Such a great actor!!! I always find myself thinking the same thing after this scene (and after I finish crying)... as much as I love him, I would not want to be one who has to face a ticked off Gandalf ! lol. I guess I didn't realize it was time for an Ian McKellan fix.. or a Gandalf fix. But I sure enjoyed the movies back to back like that (even if it did take up my entire day!). Amazon Product Description.....Sequestered in the blackness of the dreaded Tower of High Sorcery in Palanthas, surrounded by nameless creatures of evil, Raistlin Majere weaves a plan to conquer the darkness--to bring it under his control. Made aware of Raistlin’s plan, a distraught Caramon travels back in time to the doomed city of Istar in the days before the Cataclysm. There, together with the ever-present kender Tasslehoff, Caramon will make his stand to save Raistlin’s soul. Or so he believes. This is the first book of the second trilogy known as Legends. It begins two years after the War of the Lance that our companions went thru, becoming heroes. Raistlin has become the master of the Tower of High Sorcery and Caramon and Tika were married. 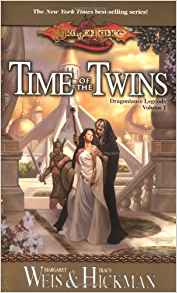 Caramon and Tas find theirselves going back in time to try to save Raistlin,who is there trying to take over all the knowledge of the dark mage Fistandantalis. With them is the beautiful cleric of Paladine, Crysania, who has unwittingly fallen in love with Raistlin. Raistlin need Crysania for his plans, what he doesn't need is to fall in love. He needs a true cleric to help him fight the Dark Queen and become more than he is... maybe even a God ! I know I keep saying it, but I do love this group of Dragonlance books! You may well find yourself having a "love/ hate" relationship with Raistlin. One time he does something good and the next something horrid; much to Caramon's dismay. 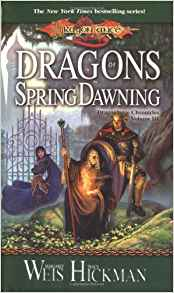 Amazon Description: The final installment in Weis and Hickman's Chronicles series--Dragonlance's undisputed must-read trilogy--brings on the main event: the Companions vs. the dragons in a knock-down drag-out at the iron works of Pax Tharkas, as the fate of Krynn hangs in the balance. They've mastered the Orbs and picked up the Dragonlance and things are looking pretty good with the return of the good metallic dragons. But the band soon learns they must do battle with their own inner conflicts if they ever hope to defeat the Dark Queen Takhisis. By the time you get to book 3 of this series, you will find yourself well invested in the characters. Even before now, they are your friends. You want to see them come out on top. You want them to win. You want them to be happy. One thing you don't want is anyone of them to die. Let me just say that there were parts to book 3 in which I bawled my eyes out. Sigh.. I had forgotten..no, I had let the characters fade in my mind while I waited for so many years to reread these books. I remembered them.. but not as much as I thought I had. They were definitely with me while I read this book. They were back in the forefront of my mind, and back in my heart. This series surely had good times.. times that made me smile, times that made me laugh.. and like I said times that made me cry. "Wait! " he yelled, coughing and choking, "Wait for me!" "Who are you that I should wait?" Pyrite roared. The dragon stared through the billowing sand. "Are you my wizard?" "Yes, yes," the old man called hastily. "I'm-uh- your wizard. Drop your wing a bit so I can climb on. Thanks, there's a good fellow. Now, I... oh! Whoah! I'm not strapped in!... Look out! My hat! Confound it, I didn't tell you to take off yet!" "We've got to reach the battle in time," Pyrite cried fiercely. "Huma's fighting alone!" "Huma!" the old man snorted. "Well, you're not going to arrive in time for that battle! Few hundred years late. But that's not the battle I had in mind. It's those four dragons there, to the east. Evil creatures! We've got to stop them.."
"Dragon's ! Ah, yes! I see them!" roared Pyrite, swooping up in hot pursuit of two extremely startled and highly insulted eagles. "No! No! " yelled the old man, kicking the dragon in the flanks. "East, you ninny! Fly two more points to the east!" "Are you sure you're my wizard?" Pyrite asked in a deep voice. "My wizard never spoke to me in that tone." "I'm- ah sorry, old fellow," the old man said quickly, "just a bit nervous. Upcoming conflict and all that." "By the gods, there are four dragons!" Pyrite said in astonishment, having just caught a blurred glimpse of them. "Take me in close so I can get a good shot at them," the old man shouted. "I have a really wonderful spell- Fireball. Now," he muttered,"if I can just remember how it goes." And so, Weis and Hickman do a wonderful job of mixing some humor and sadness into their story. This book ends the Dragonlance Chronicles Trilogy... only to open the next ! The Legends Trilogy. (Time of the Twins, War of the Twins, and Test of the Twins.) And there's more Dragonlance after those if you so choose to read on. 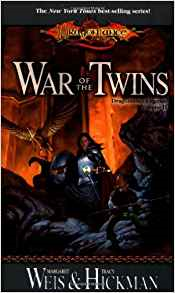 Mostly the other books separates and zooms in on one war or one "species" (elves/ dwarfs etc) You could probably read nothing but Dragonlance for an entire year! But of all the Dragonlance books these 6 I am rereading will forever be the cream of the crop! Jaimie, over at Bell Literary Reflections is celebrating BAFAB week (By a Friend a Book) by giving away 3 books! They are: The Drowning Tree, The Silver Bough and The Enchanted April. If you'd like to get in on the free books you'd better hurry over there!! FINALLY ! 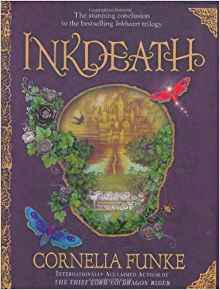 A release date and a cover for Cornelia Funke's Inkdeath! Man...... I cannot wait for this release!!! (and yes, I will reread both, Inkheart and Inkspell before I dive into Inkdeath!) Also, the last I heard they had pushed the movie back to a December release.